Something that is very unheard of in the UK is top executives turning down bonuses if the company they run fail to meet targets or yield a profit. Whereas in Japan, Sony bosses, including Sir Howard Stringer and Sony President, Kazuo Hirai, are turning down they bonus to help the company through troubled times. 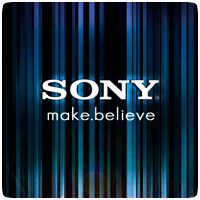 Sony has been making a lost for the fourth year in a row and is looking to cut 10,000 jobs in a effort to reduce costs. It’s unclear how big the bonus payout was going to be, but it’s a start, and something the West should be doing too. In Japan, the honour of doing a good job is much more important than money. The Sony bosses turning down bonuses shows respect for the company and that they realise they they need to do more for the company to achieve its goals. Executives in the West should take note – especially those in the UK where bonus payouts are excessive even when companies make a loss.